Protect knees against rough surfaces with abrasion-resistant pads. Sturdy ABS knee-cap adds security. An extra-long nylon pad provides comfort and durability. Adjustable elastic straps allow pads to fit comfortably on most leg sizes.Hook-and-loop closure makes pads easy to put on and take off. 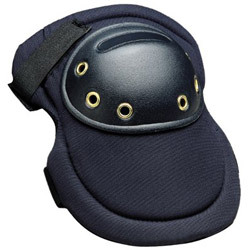 Elbow/Knee Pad Type: Knee Pad; Resistance: Abrasion; Size Group: One Size Fits All; Closure Type: Hook and Loop. Knee Pads from Allegro! 429 In Stock today.